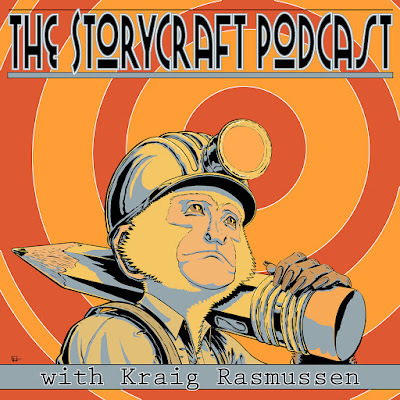 Had a really wonderful conversation with Kraig Rasmussen of the Storycraft Podcast: one of the most interesting interviews I've ever done—covering the art of writing, and of life, from a variety of illuminating angles. Click here if you'd like to give it a listen. Interesting interview. I'll have to listen to some other episodes of that podcast, as well. Didn't realize that the second AUGUSTA WIND book was out already. Hope to read it soon. And good to hear IMPOSSIBLE INC is coming out (just checked and you mentioned it back in 2010...). You're right, Bob: Mike Cavallaro and I have been developing IMPOSSIBLE, INC. for a few years, waiting for the right creative timing and the right publisher. Now that we're finally working on it, we're both delighted. It's a big, fun, cosmic adventure and I hope you enjoy it. This interview captures everything I love about your writing, Mr. DeMatteis. You've remained one of my favorite writers for a long time, primarily because I think of you as a writer who focuses on the Good. You're one who truly believes that the Good Guys (and Gals!) will win, because we *all* have the potential inside us to be Good Guys (and Gals!). Looking on my bookshelf, I notice your works sure have a lot of weird titles- "Abadazad", "Stardust Kid", "Moonshadow", "Greenberg the Vampire"... but I see your name, and they might as well be titled, "Hope", "Mercy", "Redemption", "Compassion", and "How to be a Decent Human Being." Thanks again for bringing literary Light to the Universe. I'll have to check out the Green Lantern: Willworld graphic novel. Somehow, I missed this! Deep thanks for your kind words, Kousmichoff. You made my day. When you track down WILLWORLD, I hope you enjoy it! As I'm sure you know, the second volume of AUGUSTA WIND is a personal favorite of mine. A truly brilliant work. Thanks, David. And I'm sure you know how much I appreciate that! You should pick up the new Scooby Team-Up. Not only is the Green Lantern and Green Arrow great and the BWA-HA strong in it (Hal's "Again with the societal cancer" alone was worthy he price of admission) but I'm pretty sure you were the mayor in the story. Also, we all know Denny O'neil was one of the greatest editors in comic history (that is way to often forgotten), but I think I figured out just why. I'm the mayor? Very cool. Thanks for letting me know. And, yes, Denny O'Neil was not just a great editor, but one of the smartest people I've ever encountered in the business. You aren't named and you don't look like him, but its you. O'Neil did what editors are superposed to do, he brought out the best in those who worked under him. I think he was so good because he was a reporter. The tenants of Journalism writing are to be economical in writing, to always keep people's attention, and to always have a person to focus on if you can (people like reading about people). I think that is why, despite the varying styles that emerged from his guidance, they all had a basic grasp of those type of techniques. Because of this he nurtured, not dictated or left free-wheeling. Of course, you worked with him, not me. I could be completely off base. There were certain editors -- Denny, Len Wein and Archie Goodwin spring immediately to mind -- who had my respect before I even walked in the room. I knew their work and was totally open to their wisdom. And you're right: None of them dictated. They gave me room to breathe. And when they spoke up, they had my complete attention. And I'll bet the fundamentals you needed to know stuck even better because of that. Thor and Spider-Man debuted the same month, but they are polar opposites and not just in powers. IN understanding this, I realized just what makes a good Thor run. Spider-man is an every-man who can fit in almost any situation, even if it is insane, he grounds it by reflecting our views on the insane, but Thor can't say... stop a bank robbery as a central story to a book. He's Thor. Where is the challenge. Another big issue is from what an associate of mine had once said, "Thor is the graveyard of writers." In shortt, a lot of great writers have gone into Thor, only to have their tales be largely forgotten. Why? Does anybody remember that Doug Moench wrote Thor? Very few, nor Gerry Conway. And they are very talented writers. Spider-Man on the other hand has had runs, where there is at least one memorable story no matter who wrote it. So lets look at one of the best (some say THE best) Thor writers ever, Walt Simonson. Why did he make a character that fell to B or C list status after Lee left a must read ? Talent? Yeah, absolutely. But we already talked about how other talented writers became forgotten when they came to Thor. Simonson combined The very real NYC of the 80s with the fantastic. You know who else balanced grounded Earth tales with the fantastic? Stan Lee and Jack Kirby. Also Jurgens and JMS, who escaped the problem. Writers often try to go all Earth or all Asgard. You gotta find the balance. Oddly enough, the story of Norse Gods with shades of Christianity themes is very Taoist. Jason Aaron's recent run on Thor was magnificent. And that was pure mythos with little Earth bound relativity. I think you can go pure mythos, Douglas, as long as the "gods" retain a real sense of humanity. The problem is if we stop relating to them. That was kind of the main thrust of the story the Asgardians get called out for forgetting their ties to humanity. It's pretty good. It even tells why Thor is destined to lose the hammer to Jane Foster in the long run. I fully admit to not being a huge Thor fan, so whether Aaron's Thor run is good or bad is a question mark o me. However, doesn't Jane have cancer? That That seems like a pretty gritty slice of Earth problem to me. I don't claim to have all the answers of the universe, but I don't think gods get cancer. Of course, maybe the reason humanity always **** up, is because God's Chemo isn't taking. That is assuming that we AREN'T its cancer. Well.. that got heavy and depressing. Jane Foster has cancer and every time she transforms into Thor any treatments she was on are erased and she has to start over. She makes the choice to be a hero regardless. Also, there was a recent revelation that when she transforms Jane actually is becoming Mjolnir. I thought that was interesting, but not interesting enough to buy the book. I need to save my extra cash for that Dr. Fate Essentials that should be coming out any day now. Well, in some parallel universe it is! So I really struggled with whether or not to buy BEN REILLY: SCARLET SPIDER #1 this week. I love the character and the creative team is one of the best in the industry. I mean, Peter David and Mark Bagley! But ultimately I passed on the book because it felt like Marvel was trying to plug an established character into a concept that simply doesn't fit. And just to be clear, I think the concept itself is intriguing. The idea of a crazy Peter Parker clone torn between visions of conscience and villainy has potential. It's just not Ben Reilly in any shape, form or fashion. During Spider-Man's early days, Stan Lee played with the idea that Peter Parker could snap and become the villain that JJJ believed him to be. I think he almost burglarized a jewelry store once, then pulled back at the last minute. It was an interesting idea to toy with, but about ten issues in, it became clear that Peter Parker would never cross that line. It's just not who Peter is, and it doesn't matter if it would make for an exciting story or not. In the same way, Ben Reilly originally toyed with the idea that he was too far removed from humanity to be bound by the lessons Aunt May and Uncle Ben had taught Peter, but he ultimately realized that he could never abandon Peter's moral code. Ben lacked Peter's support system, he was a bit hardened by life on the road, but he can't escape Peter's core values. Personally, I believe characters reach a point where their choices are increasingly limited. Peter Parker doesn't 'choose' responsibility, Steve Rogers doesn't 'choose' democracy, Xavier doesn't 'choose' co-existence, because choice implies they could do otherwise. I'm not slamming Marvel, just expressing some of my thought process when it comes to purchasing decisions. I've recently started buying the X-books again because of their 'back to basics' approach, and I've enjoyed them immensely. You're right: Peter and Mark are an incredible team. I don't know what the concept is, David—I'm totally out of the loop on Marvel these days—so maybe you could fill me in. That said, and considering your love of Ben and admiration for the creative team, I'm surprised you didn't pick up the issue to see how it played out. The concept, at least as I understand it: Ben Reilly is mentally unbalanced and torn between his conscience (represented as the original Scarlet Spider) and his demons (represented as the Jackal identity he took on during THE CLONE CONSPIRACY). Tonally, the preview pages I read came across a bit like DEADPOOL, with a damaged, irreverent protagonist kinda-sorta trying to do the right thing but with no clue how to go about it. I love Deadpool and Ben Reilly but don't think of them as remotely similar, so the tone doesn't gel for me. This is my reading of it based on three pages, so take it with a grain of salt. In my mind, Ben Reilly is who he is, and slapping his name on a book doesn't make it so. If I order spaghetti and the waiter brings me a ground beef patty on a bun, I'm probably not going to applaud their creative interpretation of the recipe (even if do love burgers). But that's just my take on it, at this point, and things could obviously change over time. Thanks for filling me in, David. Me? I'd still love to write more about Ben's "lost years." But you know that already, don't you? And I'd love to read it--but you probably already knew that, too! I saw nothing for me in the new Scarlet Spider so I didn't buy it. I was sad that Extraordinary X-Men got cancelled, but Generation X looks interesting. For every book cancelled another comes along to take it's place. J.M. you should just take the concept of Ben's lost years and port it onto an original story line? I'd read that. Just an idea. I don't think it would translate, Douglas. Ben is a very specific character (literally) grown from another very specific character. And I suspect that, with David and Bagley at the helm, the new Ben book will be a good one. As we all know, what a book appears to be when it first comes out and what it grows into are often two very different things. On another topic; The new issue of Blue Beetle was excellent! Glad to have you aboard and the character that was introduced in this issue is someone I have missed for a while so, glad to see him in the book. DC has made me very happy with Rebirth. Really glad you enjoyed it! I'm still finding my feet with the book, but it's been a fun ride so far. And nice to be reunited with Ted Kord! Now we just need Booster Gold to show up. Just give booster and Ted their own book, DC. People have wanted that since 1989. And, if you are wondering about teh new Ben Reilly boon, and I know that you weren't, it is pretty good one issue in. It was a bit jolting at first, but once I figured out what Peter David was doing, I liked it a lot more. It is a very interesting take for comics. Actually one that probably should have been done a lot earlier. Of course it may have, and I just don't remember. It's only been one issue, but you can add it to the to-read list. Keith and I pitched DC on a Beetle-Booster book spinning out of JUSTICE LEAGUE 3000. They weren't interested. I have no doubt Peter David will do an excellent job with Ben. I'm excited that they are bringing back Peter Parker, The Spectacular Spider-Man next month. It's more of a street level kind of book and I have been wanting to read a Spider-Man book in quite some time. Well, as a guy who wrote two run of that title, I'm happy it's coming back. Well, DC is the one who is losing out on all that money. Spectacular Spider-Man was an early example of how to do a secondary book well. From the beginning it was supposed to focus more on Peter Parker than Spider-man. It wasn't just "Spider-man is popular throw in another book." It was also, and tell me if I am wrong Dematteis,seemingly less controlled by the powers that be. Like there was more room to breathe and experiment. Many of the most underrated Spider-Man stories are in Spectacular, most underrated runs as well. Milgrom ( who doesn't get enough credit as a writer), Mantlo, Conway's second coming, and Peter David. Speaking of Peter David, the first issue of Ben Reilly. Ben was nutty. He shot a guy, took m money from a civilian he saved, and is a bit... off. I was a little turned off at first, then I got what this was. Ben has PTSD. Dan Slott broke the Ben, and I mean that in the psychological sense. He revealed that he became a villain by killing and resurrecting him over and over again, Then he was a villain going against what he believed in. Peter David is trying to rebuild his mind after a trauma, and it is not a quick fix. That is what I think should have been addressed in comics MUCH earlier. As for the RETURN of Spectacular, no matter what you think of DAn Slott's writtin, he doesn't seem to be a fan of small stories. Everything seems like it is varying shades of big, or at least way more Spidey than Pete. I think that there are a lot of people who miss that personal element, even the ones who like Slott's stuff. Back in the day, I had LOTS of freedom writing SPEC. With AMAZING, being the flagship, the editorial reins were held just a little tighter. Plus, we were in the deeps of the Clone Saga, so everything was intertwined. Seriously though, you could feel the increased freedom on Spec. From Milgrom portraying Black Cat as kind of mentally unstable, to Peter David's attempt to Frank Miller up Spider-man starting with the Death of Jean De Wolf, to Gerry Conway's Tombstone epic, to J.M Dematteis's Child Within and slow burn with Harry Osborn, none of these felt like they would have worked in Amazing. Too small, too personal, and too experimental. After all, Amazing wasn't just Spidey's flagship, it was Marvel's flagship of flagships. Even if the X-Men did outsell Spidey (and I'm not sure they did) SPider-MAn was still the most iconic character Marvel has or had. I wonder if DC took notice of any advantages to how Marvel set up the difference between Amazing, Spectacular , and the early days of Web. In the 90s, BAtman's books became more diversified. BAtman was his solo adventures, Detective was BAtman and Robin, Shadow of the BAt was more villain and Gotham based, and Legends of the Dark KNight was more personal, small, and less chronologically certain. 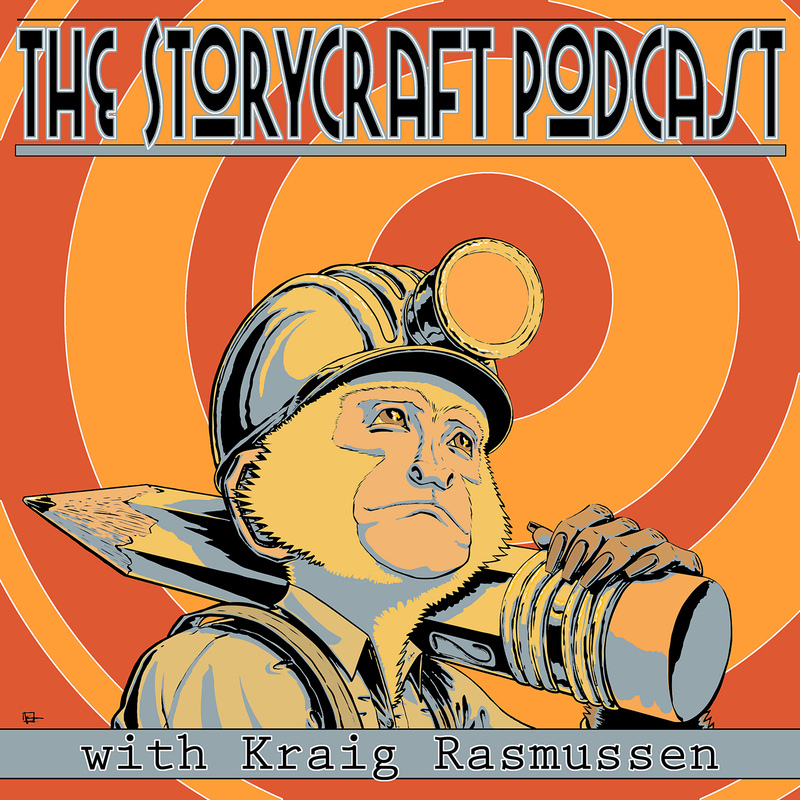 Iconic characters, and well rounded ones, have a large variety of stories they can tell. It is a shame when the big two don't see that and just have different writers doing the same type in multiple books. It is especially odd since the longer one of those characters is around, the less likely one writer or one type of story will please everybody. Marvel also did a short-lived series called WEBSPINNERS (I wrote the first arc) that allowed for a lot of freedom and play with the character and his history. Sort of like LEGENDS OF THE DARK KNIGHT. I prefer Conway's SPECTACULAR SPIDER-MAN and WEB OF SPIDER-MAN stories from the late 80s-early 90s to his original ASM run. At its peak, Mantlo's PP:TSSM was the perfect complement to Stern's ASM. The Ock/Owl Gang War is criminally underrated, and the Kingpin/Silvermane/Spot stuff is great as well. That was a sweet, sweet time to be a Spidey fan. Jack, I think you're right about the scope of stories Slott prefers. Tonally, I'd say his ASM run has the most in common with MARVEL TEAM-UP. Oh, you wouldn't know him, JMD. Pretty obscure Spidey character best known for having the same barber as Sandman. No love for Gillian Welch? Whatever. David- I would probably agree that "return of Sin- Eater" was better. but I do love the Spider-man/Daredevil interaction in the last issue of the original. And my guess is that Slott has a love of the team up books, his Thing series (which I did enjoy) had a very Marvel Two-in-One feel. ts heard for me me to way in on his ASM run, I'm not a big fan of his Peter Parker (I did enjoy his Superior), just not for me. As for Conway, I personally find it hard. He gets the Wallcrawler so well. My favorite Spider-work may be the 80s graphic novel "Parallel lives," Of course that is more for the MJ work. The 80s-90s had more skill and planning, but the 70s had that amazing energy... not to mention the underrated mindworm, and Ben Reilly's technical first appearance, and that great two pages at the end of Gwen's death, where MJ refuses to leave. Of course the 90s one is so immersive, you feel like you are right there with Spidey, and the conflicts between Joe Robertson and Peter, and of course his last story of the run, that Christmas story with Doc Ock, it was small but I loved it. And of Course the current Renew Your Vows is great... one of if not the greatest book on the rack. Dematteis, I know of Webspinners. I also know about Tangled Web, which had people who were connected to Spider-Man in some way (Frog-MAn, the two brothers in the aprtment he crashed into and Crusher Hogan were my favorites)And that seems like your kind of writing project. Which reminds me, I always liked that Spectacular Spider-Man story with Spider-man, Frog-Man, and Leap Frog. Another story that was far from amazing, but incredibly spectacular. I'd actually write a FROG-MAN monthly. Which shows you how weird I am! That isn't as weird as the fact that I would buy that series. And I know were Eugene first showed up. I also know that his second appearance (also in MTU) was the first appearance of Peter Parker's Jewish pal whose mother's funeral was in Soul of the Hunter. I hate myself for knowing this crap. Was that the issue of Amazing where The monkey owned by the Red Ghost turned into a fire extinguisher? Because I have that too, an would that mean that it was BOTH of theirs second appearance? To add- Denny O'Neil's Spider-man was okay, but his Daredevil is incredibly underrated. Yep. That was the one. My very first issue of AMAZING! It would be years before I wrote another one. In a Marvel that has monthlies with Devil Dinosaur, Hellcat and Squirrel Girl I think Frog Man could be there next hit. You should pitch it. You have two verified sales on this blog alone! I sought out that issue years ago specifically because it was your first issue. Oddly enough, with that monkey into fire extinguisher, it was probably a better sign of what was coming in the JLI more than Kraven's Last Hunt or the Death of Harry Osborn. Well, Denny plotted that issue, Jack, so that monkey fire extinguisher was his idea! While we are discussing the Wallcrawler, there is one plot point I have always been aggravated with Marvel's (forced) dropping. MJs psychology from the post-Clone saga/pre final chapter days. They could have done so much with that. Also Dematteis, How come comics from the 70s and 80s characters say "holy crow?" I have never heard anyone say that. I get the lack of swears, but what about Holy cow, or Holy Moly, or Holy Moses? It just always bugged me. Plan ting the idea in your brain. So HE created the JLI? Sounds like someone owes Denny some money. I don't think I ever had a character say "Holy crow." But I do know that, back in the day, "bad" language was frowned upon. There was a period of time when we couldn't even say "hell" when referring to the place! So you'll see lines like "Go to Hades!" Which really fell flat. I think Giffen would disagree. I get that holy Crow was probably to replace Holy crap, but it sounds so unnatural. Its weird. And what if it was Hel, from Norse Mythology. Thor and all. Of course my favorite was in the late 80s and 90s, when they would have these tough Mob killers and New York cops calling people geeks, and pieces of crud. And,Maybe Giffen would agree, maybe he would disagree. For myself, I will withhold judgement until HE can produce a story from the early 80s or sooner an object turning into a monkey in a heroes hands. Wait, now admit that MJ in the world of psychology AND married to Peter would have been a great character dynamic moving forward. I remember a DEFENDERS story where I had a very angry Hellcat same "darn well" instead of "damn well" because "damn" wasn't permitted. It really watered down the emotion of the scene, to say the least. Gosh dang it. Since the Red Ghost's monkeys were established in the 60's by Lee and Kirby, there must have been a monkey shape-shifting scene in one of those stories! Re: MJ: I don't really remember much about it, so I don't think it was my idea. But it certainly fits my mind-set! So, now you just have to admit that its a great idea. IF I had to hazard a guess, I'd say it was Mackie. Aside from the fact that he is the one that focused mostly on ESU,he had to try twice as hard to win his fellow SPidey writers approval... he was the only one whose name didn't start with "De." In case you wonder how I can remember all of that, I recently finished repurchasing all the issues from that era in my attempt to finish my Spider-man collection (up until they undid the marriage). All that I still had were the Spectaculars for a while (true). And it doesn't count as giving birth to the JLI, unless the monkey turned back into itself in a characters hand. Wow, I just realized how much of the JLI could have happened in the Lee-Kirby F.F.F. One thing people often forget is just how funny Stan could be. There were great one-liners flying around in FF and SPIDEY. That's why I think Giffen-DeMatteis-Maguire would be perfect for an FF revival. I never forgot that. It was part of what made characters like Peter Parker and Ben Grimm so well rounded and believable, that ability to go from deep states of despair )to the highest points of levity. As I have said before, Stan's REAL strength was that he know and understands people. One of the most annoying thing about many comics today (even with established characters) they choose one or the other, dark or light, and that isn't how people usually work. I was hoping you would comment on the extra "F." in my last post. In the best of all possible fictional worlds (as in life) you seek a balance of light and dark, serious moments and humorous ones. Sometimes a piece comes a long that demands a specific tone—KRAVEN'S LAST HUNT would not have worked with Peter cracking jokes—but, in general, you seek a balance. Even with the goofiness of JLI we always made sure to throw in serious moments and real emotions to keep things balanced. It is interesting that Marvel will embrace a comic that is an all ages friendly title regardless of the sales. Moon Girl and Devil Dinosaur continues to have a poor showing month after month, but since the collections sell huge numbers on Scholastic, they keep the single issues there. Makes it easier to put the collections together for Scholastic I would presume. FROG MAN FOREVER! "FROG-MAN FOREVER!" I'm making the t-shirts! I would also buy a t shirt. I'm pretty much agreed with everything you've said about Conway, Jack. I do think his early ASM run has a lot of energy and the scene with MJ closing the door and staying with Peter after Gwen's death is a brilliant character moment. One thing I really love about his WEB and PP:TSSM runs is that he was able to close out some threads from his ASM days. It worked out well that he was college aged during his ASM run and then older and more reflective at precisely the time Peter's narrative shifted that direction. One of my favorite Conway stories is the Malcolm McBride Carrion arc, which sees Peter come to terms with Gwen's death after asking himself if he's been as obsessed with her passing as Miles Warren was. It's a very poignant moment (PP:TSSM 149, if memory serves). Got around to reading WILLWORLD after the discussion in this interview. That is one truly bizarre comic, maybe the strangest among your work-for-hire super-hero oeuvre (if you'll pardon my french), maybe even of the whole shebang. Never saw Fisher's work before, and it is really exquisite, can't believe the level of detailed strangeness he put in every single page. Notice you planted the seeds for a sequel, though I'd guess it really couldn't be done with another artist. Glad you enjoyed it, Bob. And, yes, as my mainstream work goes, WILLWORLD is about as strange as it gets. I can't imagine a sequel without Seth. Is there anyone out there with his kind of brilliantly mad visual imagination?